was actually thrown from a dam. Instead of dropping vertically, the ball elegantly deviates from its downward descent, gliding along in the waters below. Remarkable as that was, physics will always touch the sky. 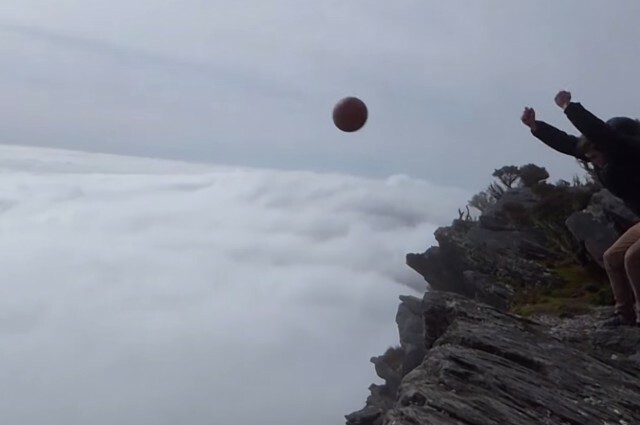 Or even maybe just above the clouds, just as this video below from How Ridiculous of a basketball being dropped from a cliff shows.